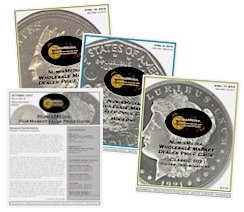 NumisMedia Weekly Market Report - August 15, 2016 - Is the Rare Coin Market Cycling Upward? Is the Rare Coin Market Cycling Upward? With two major official auctions at the ANA World’s Fair of Money, one hosted by Heritage Auctions and the other by Stack’s Bowers Galleries, there were some terrific rarities that found new homes. One of the featured coins in the Stack’s Bowers Galleries Rarities Sale was an 1860 $20 Gold Liberty graded PCGS MS65 that included the CAC approval. It is the single highest graded coin for this date. We previously listed a Market price of $65,000; it realized a phenomenal $141,000. Also available was the always popular $4 Gold Stella Flowing Hair, this one certified as PCGS PR63 and sold for $146,875. This final price was only a small premium above our previous Market price. Below are a few other highlights from this sale. Heritage Auctions had a superb offering of rarities in their Platinum Night Sale that included a 1792 Birch Cent in NGC MS61 Brown. 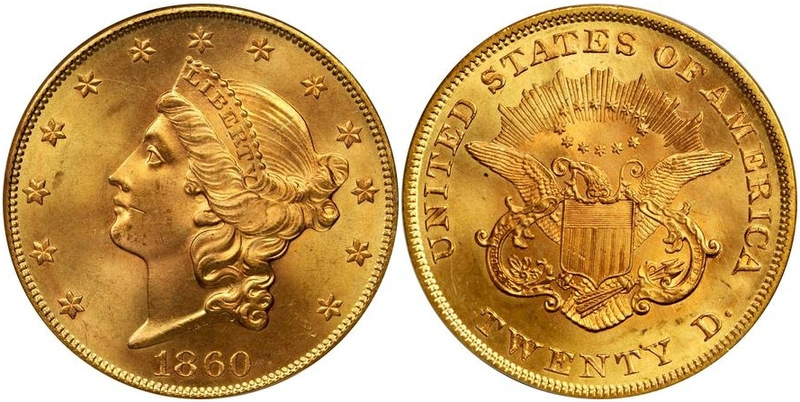 This is one of only two known coins and it brought $517,000. 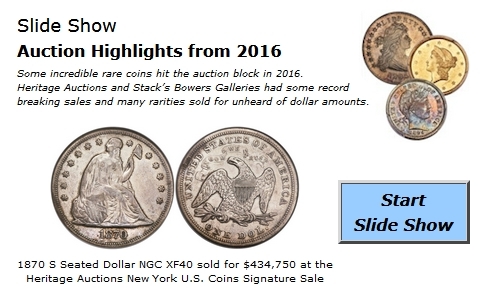 Another extreme rarity that sold was the 1792 Silver Center Cent certified by PCGS as SP35 with the CAC sticker; this one realized $352,500. The following list contains some of the many highlights of this sale. 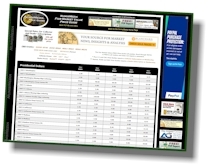 We will take a more in-depth look at the prices realized from both auctions in the September FMV Monthly article. With the ANA World’s Fair of Money completed and the summer winding down, dealers and collectors can now concentrate on their regular buying habits. Bullion-related coins have been the main focus of collectors and investors for quite some time, but the market seems to be cycling back to rare coins as buyers are looking for better coins in all denominations. Price is still a focal point but demand looks much better than in previous months. While the metals have fallen in the last week, dealers were expecting more sales in bullion coins, but that wasn’t necessarily the case at the ANA. Even generic U.S. Gold is sporting some tight premiums as it competes for investment money. MS63 Saints have been offered at just 6% over melt which makes them very competitive against modern Gold Eagles. From a numismatic standpoint, these would make a lot of sense especially when the market turns, as it always does, and the premiums stretch out once again.